Our client is a leading global pharmaceutical manufacturer. A key line produces a terminally sterilised liquid pharmaceutical for global markets. This line was expecting over 20% sales growth. However the expiry of patents meant that the cost of production needed to be substantially reduced. To achieve this cost reduction the business had decided to move from a costly four shift, seven day roster to a three shift, five day roster. To achieve this improvement while accommodating sales growth would require a 60% increase in line output. Around half of this improvement would come from capital investment, but the balance needed to come from improved productivity achieved through application of lean manufacturing. 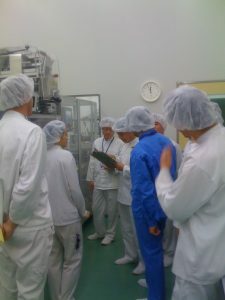 TXM addressed basic issues common to many pharmaceutical operations in implementing lean manufacturing. The first step was to complete a value stream map of the production process. This revealed imbalances between the automated filling process, the batch autoclave step and the semi-automatic packing process. These imbalances lead to waves of work in progress and stop start operation of filling and packing. TXM put in place a simple visual system to control standard work in progress and trigger standard decision making at the shop floor level to maintain balance through the value stream. Changing shop floor and leadership behaviour was critical to achieving change. Shift teams were required to record output every hour. When the hourly target was not achieved, this was a trigger for problem solving to find the root causes of lost productivity. Team leaders, managers and support staff including maintenance and QA were coached on how to provide effective and timely support to the line. 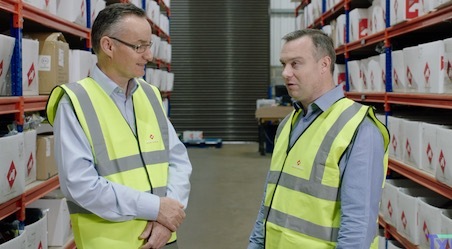 This required cultural change all the way to the senior management team to ensure that all functions realised the importance of supporting the creation of value on the factory floor. Set up time reduction and standard work refined and stabilised the gains achieved. The line achieved the required 60% increase in output in ten months, even though the capital improvements delivered a quarter of the improvement with the balance coming from improved work practices and culture change. OEE increased from around 45% to 75%. Even more importantly, the project was a catalyst for culture change on the whole site with our client being able to apply the learnings to achieve a significant improvement in performance on other lines. The investment in TXM services was repaid through cost savings in under two months.